One of my boyfriend's favorites among the dishes I concoct. Wanna know why? 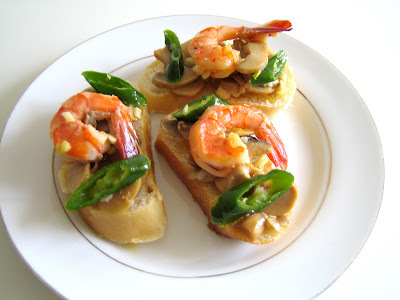 This bruschetta is very spicy and tasty because of mushroom and garlic in it---plus the jabanero. Really makes him perspire with every bite. This is also the same bruschettas that I gave my boss Pedi before he left for Europe. something sweet. 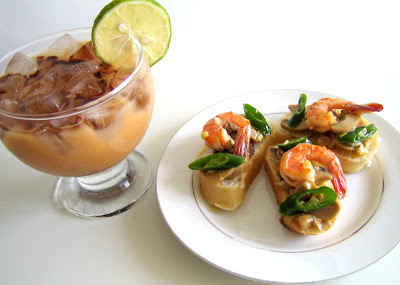 Again the Food Styling and Photography was done by yours truly.